Dr. Baker is a 1984 graduate of Colorado State University. 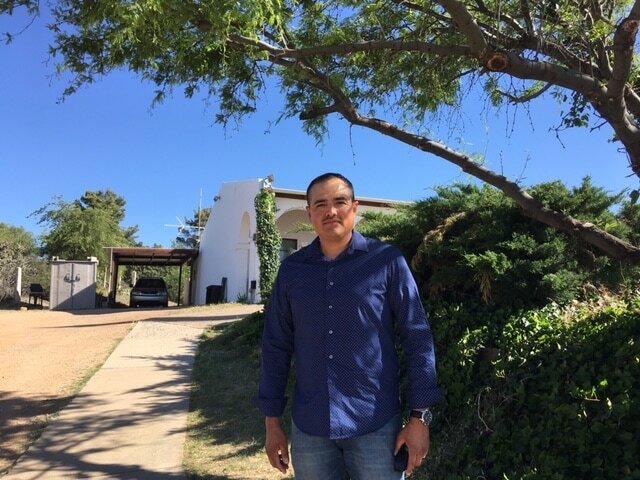 He worked in veterinary practice in Yuma, Arizona before opening Mesquite Veterinary Hospital in Catalina, Arizona. He, his wife Cindy, and three children are active in the community and their church. Dr. Alcott graduated from Iowa State University's College of Veterinary Medicine in 2004. Originally from Iowa, moved to Tucson in 2014 and I love the mild winters! My husband and I have three kids, a dog, two horses and chickens. I have a special interest in Internal Medicine. My hobbies include, chasing my kids around, camping and traveling! Dr. Whiting is a 1985 graduate of Colorado State University as well. She worked in Colorado before returning to her native Tucson, Arizona to practice. She did “relief” work at Mesquite and became a full-time employee as the practice grew. She, her husband Patrick, and their three children enjoy outdoor activities. Dr. Clark was raised in Huber Heights, Ohio and graduated from the Ohio State University College of Veterinary Medicine in 1995. She started her career in Arizona, at Casa Grande Animal Hospital. After graduation she then moved to Oro Valley Pet Clinic in Tucson, Arizona in 1997. 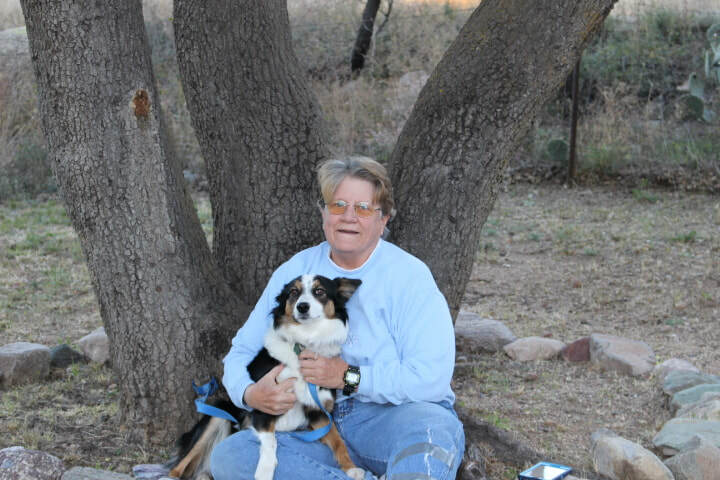 She has been helping at Mesquite Veterinary Hospital as well as other Tucson clinics as a relief veterinarian since 1999. Dr. Clark fills in for Dr. Baker and Dr. Whiting on vacations, Saturdays and holidays. She is a real pleasure to work with. Dr. Haydt is a 2009 graduate of Colorado State University after completing her Bachelor's degree at the University of Arizona. She brings a younger perspective as well as new skills and Interests. Her interest in general surgery, pain management, internal medicine and her training in Acupuncture. She looks forward to meeting you and your pets. Norma is our Practice Manager. She started at the clinic with Dr. Baker and worked as a Receptionist, Veterinary Assistant, did the Inventory and worked wherever she was needed. She worked her way up to the role of Office Manager. Norma has been with the clinic since 1988. Norma and her husband have two children and their dog Olive. She is very active in her church and loves her Team Building projects and scrap booking. Denise has worked for the clinic since 1995. 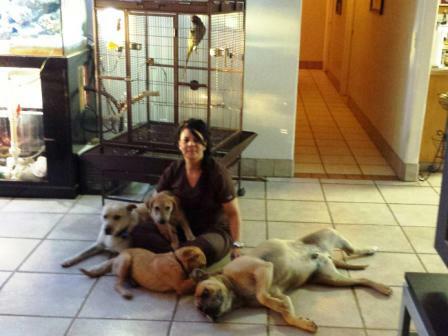 Like Norma, she has done everything in the clinic from Veterinary Assistant to managing the inventory. She is a hard worker and enjoys talking with our clients. Denise and her husband have two daughters, one grandson and one grand daughter. They have one dog, Reyva. Marlinda has been with us since 2009. She is a real asset to the receptionist area Her jolly attitude and wiliness to help shows through everyday. She is a delight to work with. She and her husband have one dog, Brewser. Marlinda likes to cook and bakes wonderful desserts. Her husband and daughter enjoy her cooking and her special baking talents. Alma started with us in 2007. She helped take care of our boarded animals and helped maintain the kennels. She has been working as a Veterinary Assistant for four years. She is very pleasant to work with and always has a positive attitude. She and her husband have two sons. Her dogs Nala, Coco and Kooper and beautiful bird, Sabu keep her busy. Cherie started with us in 2007. She has a Bachelor's Degree in computer science, from the University of Phoenix, and 25 years of computer experience. She maintains all the computers and software. If you have a computer question ask her. She enjoys singing, archery, hiking, photography and playing with her dog Sassy. Abbi interned with Mesquite in High School, while there she decided to pursue a career in the Veterinary field. She has been with us for a little over a year and has just recently graduated from Pima Community College. She is currently working on becoming a Certified Vet Tech (CVT). In her spare time she loves to be a couch potato with her dog Sawyer. 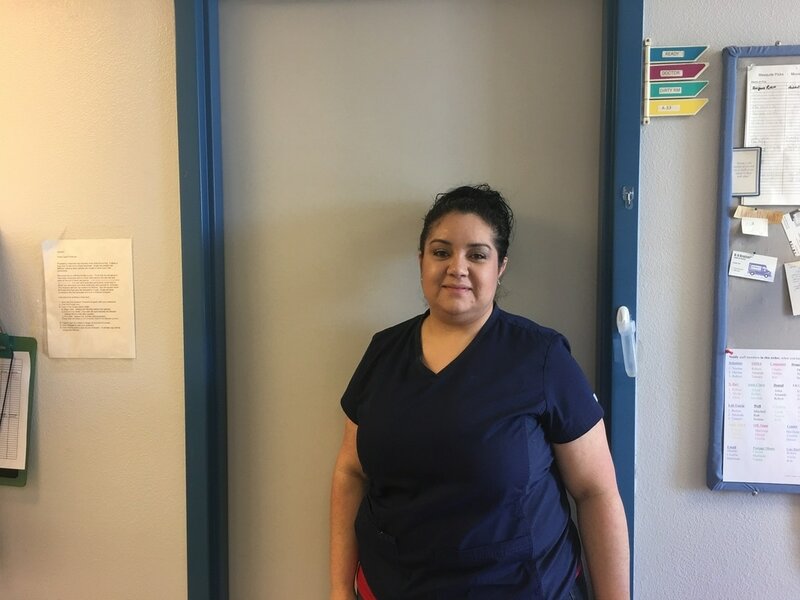 Alicia started in Veterinary Medicine in 2011 where she attended Pima Medical Institute. She started working at Mesquite in 2013 as a veterinary assistant and receptionist. She especially enjoys working with cats and learning about them. She has a rescue cat, Aurora, a tortoise and a dog Max. Mitchell Baker is a great asset to our Team. He has a special gift for handling pets. We call him the dog whisperer. He enjoys going to the gym and being on a Soccer Team with his father​. Shannon started with us about a year ago. She started in Veterinary Medicine at the age of 16. Animals have always been her passion. Her interest is in exotics and surgery but enjoys every minute of her workday with all animals. She has one dog, Bernard and one cat, Sephora who are both rescues.